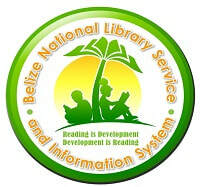 The Maya civilization spread across what is now Belize around 1500 B.C., and flourished until about 900 A.D. 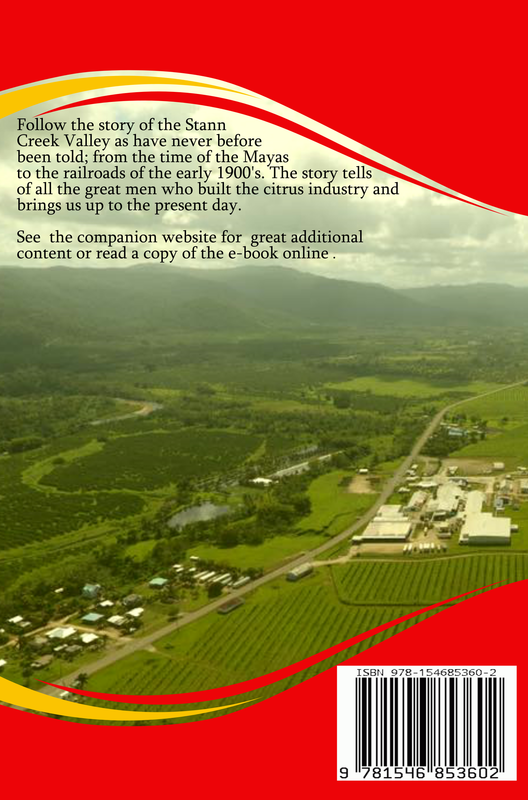 The Maya occupied the North Stann Valley Creek region of Belize from the Early Classic period to the Post Classic period. In 1949, during the demolition of two mounds for the expansion of citrus orchards behind what is the Queen’s Park Rangers home field, a great jade ear-flare and a finely carved shell chest ornament was found by Colonel A.P Bellhouse. They were excavated together with a number of jade figurines, beads, and stone and shell implements from the tombs. ​The Pomona Flare: with a diameter of 7 inches (18 cm) was the largest ear-flare discovered. The Crystal Skull of Lubaantun and the Jade Head of Altun Ha are more well known by Belizeans but the Pomona Flare is equal in terms of mystique and significance. Ear flares are like today’s earspools but in that era their size and the material they were made to signify status or religious symbolism. The ear flare was part of a tomb assemblage of Pre-classic date and is one of few recovered examples of the large type ear flare. It is engraved with four texts arranged on opposite sides of the flare. The glyphs refer to gods and apparently record the cosmic sanction that the ruler wished to invoke. The texts are believed to have calendrical meaning. The head on the flare represents a Katun, or period of about twenty years, and is almost identical with a similar glyph on the Leyden plate found in Guatemala which is the second earliest contemporary Maya date known, which is equivalent to A.D. 320. The other glyphs also bear a strong stylistic resemblance to it. It is therefore safe to place this specimen as belonging to the very beginning of the classical phase of the Maya Old Empire. The writings on the Pomona Flare are some of the earliest findings of Maya writing found in Belize and many papers were written about its link to Classic Maya iconography. The Pomona Flare: Is made of jade and has a diameter of 7 inches. It was discovered in Pomona, Belize in 1949. The Carved Shell showing figures with huge ear-flares: The sea shell chest decoration has two panels carved in low relief, one where it was fastened, and the other on the widest area of the convex surface. Each of them consists of a pair of kneeling human figures confronting each other. The carvings have been somewhat damaged by erosion and boring organisms, but it is possible to distinguish the elaborate head-dresses, necklaces, wristlets, and anklets which indicate the importance of these two. The two circular depressions over their ears give us reason to believe that earplugs were represented by some form of inlay, possibly jade. Further inlay may have been present in other parts of the shell, notably in the knife-shaped depression of the left-hand figure. The beauty and clarity of the design may very likely have been enhanced with color. The shell was almost certainly made later in date than the jade earplug. The skill in space-filling, and the free and graceful treatment of the figures in relief show a technical skill and aesthetic conception which belong to the 'Great Period', the Golden Age of the Maya 'Old Empire', about A.D. 730 to A.D. 900. It is probably not unexpected that the largest and finest Maya ear-flare known was found in the same tomb with a shell-carving showing two human figures embellished to emphasize their earplugs (which were of exceptional size), although there is probably a difference of at least three centuries in their dates of manufacture, but the nature of their connection must be a matter for speculation. Colonel Bellhouse presented the artifacts to the Government of the Colony. The government then sent them to the Carnegie Institution of Washington from where Dr. A. V. Kidder loaned them to the British Museum in London for display. In 1959-60, the Cambridge Expedition to British Honduras arrived in the colony and its archaeologist, Euan MacKie, carried out several months of excavation at Xunantunich and Pomona. He detailed his work in an Archeological Report “Excavations at Xunantunich and Pomona, Belize, in 1959-60". 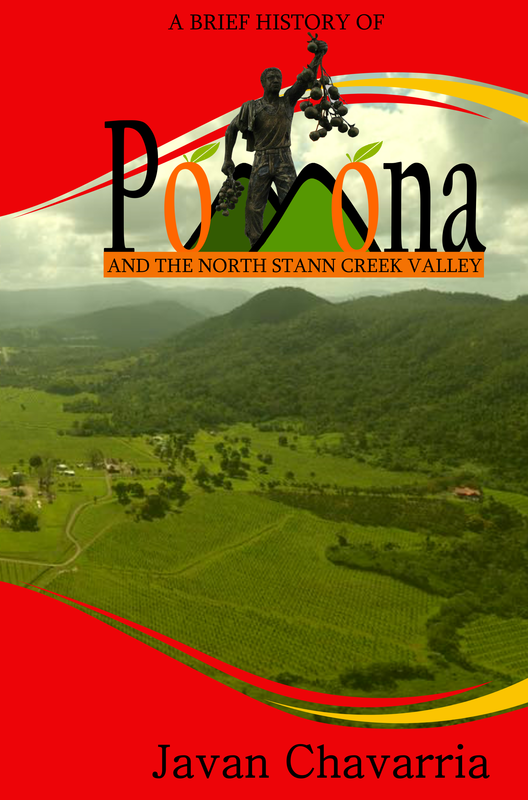 Unfortunately the discovery at Pomona in Belize, is often confused with another Mayan site named Pomona in Tobasco, Mexico because of a lack of written history of the Stann Creek Valley area. 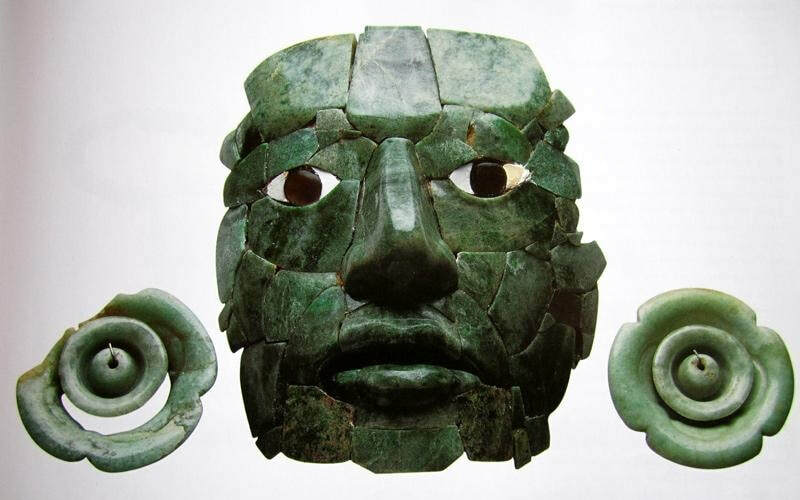 A Mayan green jade funerary mask with a set of ear flares found in Calakmul, Campeche province of Mexico.